The San Diego Symphony will explore myriad aspects of music made in and inspired by America, from hip-hop to jazz to modern classical, during a month-long program in January. From Native American drumming to folk tunes, from Broadway to some of classical music’s most influential composers, “Our American Music” asks if there is a uniquely American musical voice. The program includes a series of concerts, panel discussions and community events, some of them free, and features sound booths located downtown and in Balboa Park. What Is an American Composer? Thursday, Jan. 5, 7:30 p.m.
A thought-provoking discussion about the evolving voice of American classical music featuring symphony CEO Martha Gilmer with excerpts from works by composers Gabriela Lena Frank and Andrew Norman performed by symphony musicians. This event is free, but requires reservation. Friday, Jan. 6, at 8 p.m. and Sunday, Jan. 8, at 2 p.m.
American composers Aaron Copland and George Gershwin both made significant visits to France during their formative years, and some of their resulting impressions are expressed with a thoroughly American attitude in this program. This concert features musical highlights of works that will be performed throughout the month of January, including iconic pieces by composers Aaron Copland, Leonard Bernstein and George Gershwin and some musical surprises. The concert is free, but requires reservation, and is fully fully booked. Tuesday, Jan. 10, 7:30 p.m.
Wednesday, Jan. 11, 7:30 p.m.
La Santa Cecilia started their career by serenading passersby on the corners of downtown Los Angeles’ Olvera Street. They are a musical phenomenon which plays a blend of cumbia, bossa nova and boleros. Thursday, Jan. 12, 7:30 p.m.
Singer and songwriter Rosanne Cash’s show celebrates her highly-acclaimed and three time Grammy-winning album, The River & The Thread, that connects her to the American South. 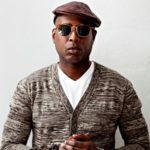 Friday, Jan. 13, 8 p.m.
After nearly 20 years of releasing mesmerizing music, Brooklyn-born rapper Talib Kweli stands as one of the world’s most talented and most accomplished hip-hop artists. Kweli commands attention by delivering top-tier lyricism. This concert with members of the symphony is recommend for mature audiences. This concert celebrates the music that made the “west coast sound,” paying homage to Dave Brubeck, Chet Baker, Gerry Mulligan, Paul Desmond and that “prince of darkness” himself, Miles Davis. Friday, Jan. 20, 8 p.m., and Sunday, Jan. 22, 2 p.m.
American cities have helped define the American character through bold, striving architecture and the resulting social impacts and inspirations. This program of music by John Adams, Aaron Copland, Igor Stravinsky and Leonard Bernstein is driven by the rhythms, conflicts and beauty of Los Angeles, New York and metropolises in between. Saturday, Jan. 21, 8 p.m. This concert explores the most famous American movie soundtracks. It opens with Leonard Bernstein’s brutally vital music from the Oscar-winning “On the Waterfront” and includes a suite from Eric Wolfgang Korngold’s classic swashbuckling score to “The Seahawk” among other classics. 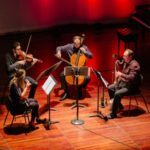 Saturday, Jan. 28, 8 p.m.
A musical biography of American composer Charles Ives, his warm relationship with his bandleader father and the transmission of a surprisingly varied and rich musical heritage from father to son, as fully realized in Ives’ Symphony No. 2. Friday, Jan. 27, 8 p.m., and Sunday, Jan. 29, 2 p.m. The symphony plans its most thorough exploration of the American classical within a single program. Special treats include California composer Steven Stucky’s multilayered “Rhapsodies” and the great Duke Ellington’s “Harlem,” a symphonic love letter to a neighborhood and culture out to change the world. All of the American music program concerts take place at Copley Symphony Hall in downtown San Diego, and tickets are available online.